Choosing the right lighting for your retail store is an important decision that can affect the atmosphere or mood of the location. Since different bulbs and fixtures can have different effects on a space, it crucial to pay attention to what each area of your store needs. Incandescent - Typically the least expensive choice, incandescent bulbs emit a warm white 2700 Kelvin glow. They also have a high color rendering index (CRI), so colors illuminated by this type of light appear truer. However, they are the least energy efficient choice and have a relatively short lifespan. Although incandescents can be good for general lighting, most store owners prefer the longer life of other technologies. Halogen - A step up from incandescent bulbs, halogen lamps use about 30% less energy to help cut down the energy costs. They emit a warm light around 3000 Kelvin that is slightly cooler than incandescents. Like the incandescent light bulbs, halogens also have a perfect CRI. Unfortunately, halogens also have a fairly short lifespans. Fluorescent - A popular choice for general lighting, fluorescent bulbs use less energy and last longer than incandescents and halogens. Fluorescents have the advantage of coming in a wide range of color temperatures. Keep in mind, all fluorescent fixtures need a ballast in order to operate, which will eventually need repair, maintenance, or replacement. Also, the CRI of fluorescent bulbs tends to be subpar, typically less than 80. While popular for general lighting, fluorescents should not be used for display lighting or in shop windows. LED - The most versatile and energy efficient option, LED lighting can be used in any or all areas of a retail store. This type of lighting can be found in almost any color temperature, and though it may not be as good as incandescents or halogens, LED light bulbs can have a CRI of over 90. Despite a higher upfront cost, LED lighting pays for itself through energy savings and fewer replacements. Lighting in layers is important for any space, both residential and commercial. Retail lighting is no different. The trick here is to reserve the order when planning out lights and fixtures compared to almost all other spaces. Retail lighting starts with with decorative lighting pieces and finishes with general or ambient lighting. If starting with general lighting, you may have too much light by the time you add accent and display lighting focused on the products. Decorative - These fixtures are definitely made to be seen and make a statement. Decorative lighting may not be right for all stores, like grocery or sporting goods, but higher end boutiques and furniture stores can use these pieces to emphasize their brand and help set the right mood. Place your decorative fixtures in prominent places like the front entrance or window displays. Accent - Used to emphasize and highlight certain products or major displays, accent lighting is an important part of your lighting design. For permanent displays, recessed lighting can do the trick, but if your displays tend to be more mobile or constantly changing, track lighting with adjustable lamp heads is your best bet. Light bars or strip lights in display cases are additional ways accent lighting can be used to draw the eye towards sale items or high end products. Task - Most often used at the checkout register, task lighting is used to provide extra light in task-oriented areas. The process and fixtures used are similar to accent lighting, except they tend to be brighter. Using a higher color temperature bulb by the checkout helps keep employees working the register alert and focused. General - The last thing you want to add is your general lighting. If this is done first, you run the risk of over-illuminating areas that are also lit by accent or task lighting. 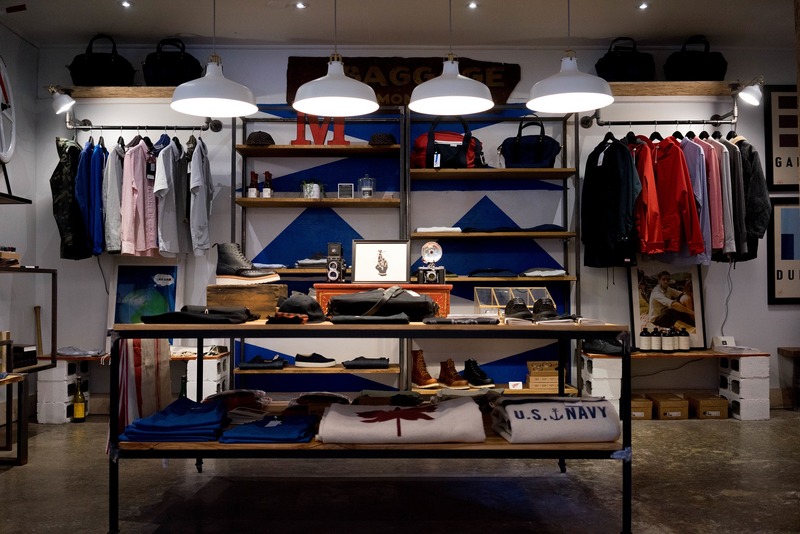 General lighting should be used to fill in any dark spots in your retail store. As a good rule, add general lighting to a space if there is more than 6 feet between lights. Recessed lighting is a good choice for higher end stores like boutiques, but LED panels can be used in places like hardware stores, grocery stores, or convenience stores. ● Buy LEDs by the batch. Since LEDs can have slight variations in color between batches, this will help you avoid any inconsistency. ● Pay attention to color temperature and CRI. 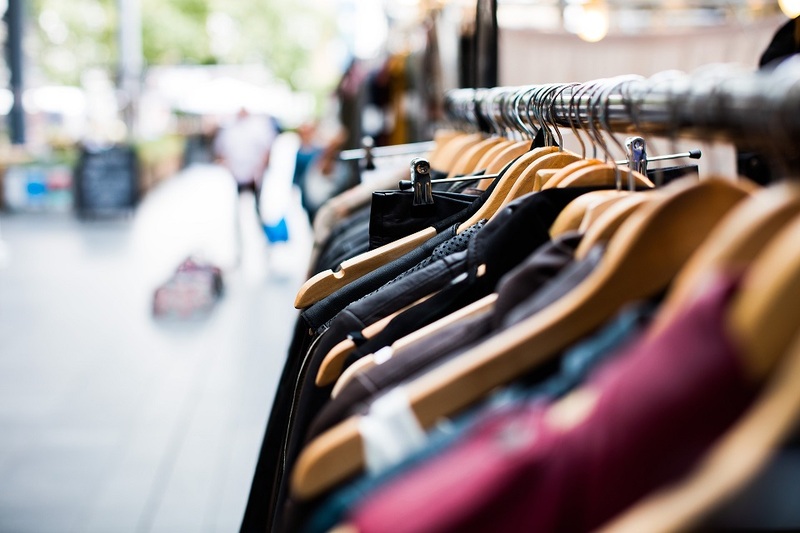 You’ll want a consistent color temperature throughout your store with an exception being some task areas and the dressing room. Dressing rooms benefit greatly from having the option of switching between a lower and higher color temperature. This allows the customer to see what an outfit looks like indoors in artificial light and outdoors in natural sunlight. High CRI is important for stores that require truer color rendering, like clothing stores or an art supply store. ● Avoid burning your customers and products. Halogen lamps, and incandescents to a lesser degree, produce a lot of heat. If using these types of lights, be sure they aren’t so close to make your customers uncomfortable or to fade your products. ● Invest in dimmer switches. There’s no such thing as too much control when it comes to your lighting design. Dimmers allow you to control how bright your store is at any given time to help enhance the atmosphere or signal it’s closing time. When using LEDs, pay special attention to ensure you choose a compatible LED bulb/dimmer switch combination. ● Spend the majority of your budget on accent and task lighting. If you’re cutting it close on budget and need to make some sacrifices, make them in the decorative or even general lighting. The accent and task lighting is the most important in your store. Accent lighting is essential for highlighting your product, and task lighting is needed to keep your task areas well lit and functioning smoothly.